The fabulous Roma Swim Robe & Parka will have you looking and feeling fantastic by the pool or the ocean. 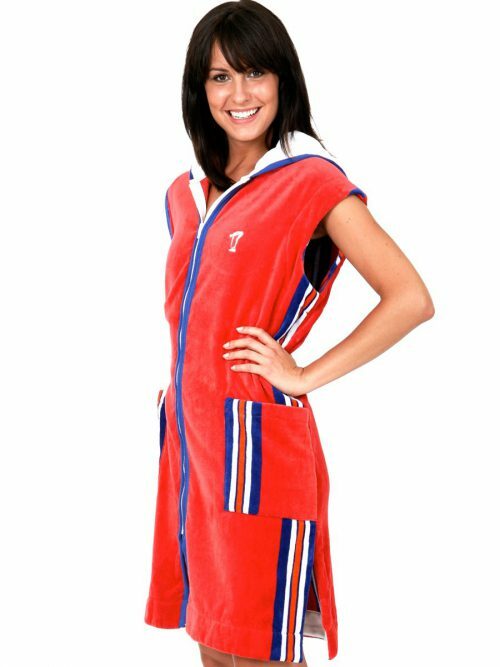 This towelling swim robe WITH sleeves is in burnt red with touches of blue, white & orange in vertical stripes. 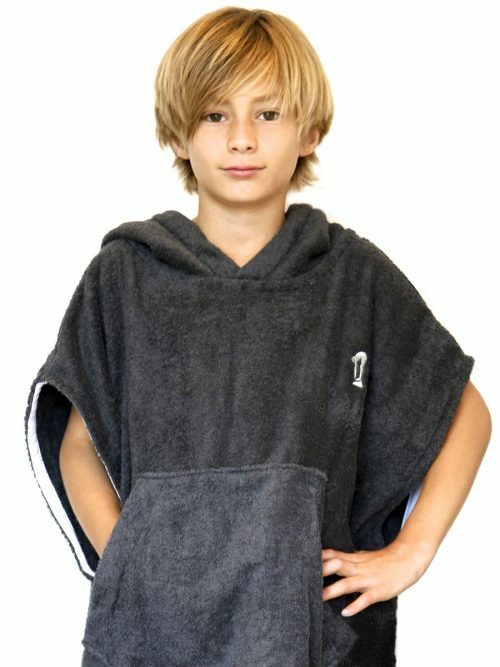 It is the perfect accessory for the year round swimmer or water exerciser. 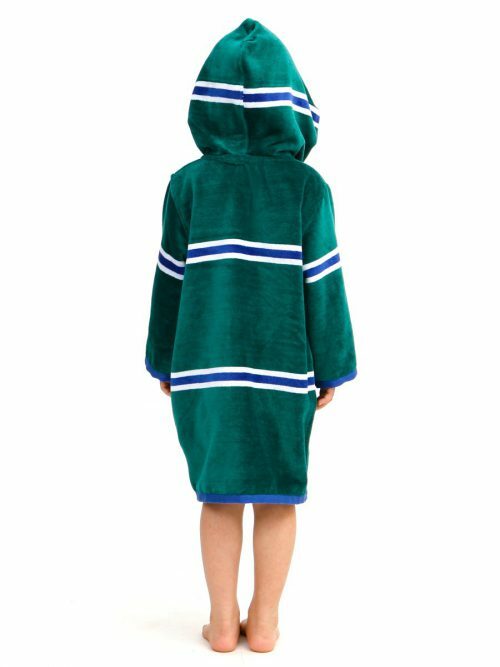 Whether for by the pool, down on the beach or for getting away for a few laps this swim robe with warm you, dry you AND keep the sun off your precious skin with full length sleeves and a generous lined hood. The fabulous Roma Swim Robe & Parka will have you looking and feeling fantastic by the pool or the ocean. This towelling cover-up WITH sleeves is in burnt red with touches of blue, white & orange in vertical stripes. 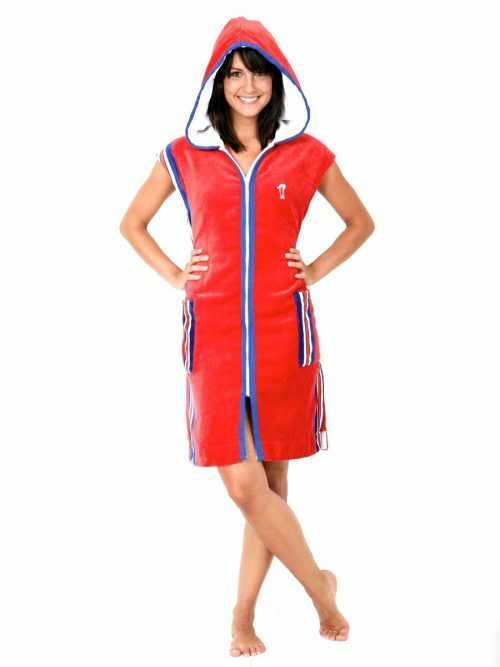 Thsi robe is the perfect accessory for the year round swimmer or water exerciser. 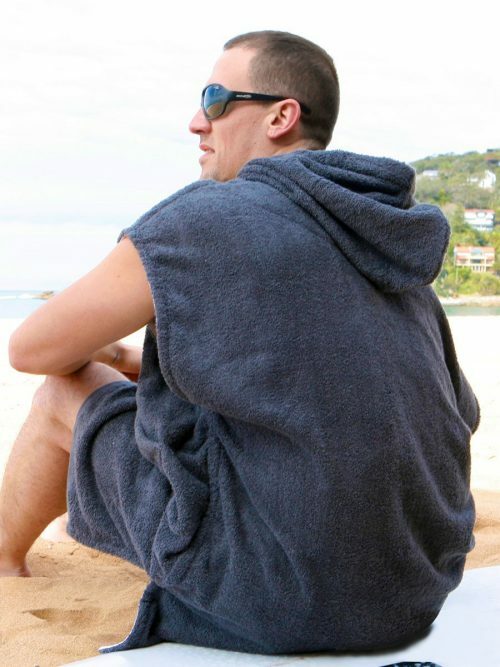 Whether for down on the beach, by the pool or for getting away for a few laps this swim robe with warm you, dry you PLUS keep the sun off your precious skin with a generous lined hood and full length sleeves. Unique features include a handy zip pocket for keys, rings and coins, a full length molded zipper for easy on / off dressing plus made of the highest quality for life long rust-free action. The hood is oversized and luxuriously lined and all internal seams are fully covered for comfort and durability. This is also extra waist tie for shape. 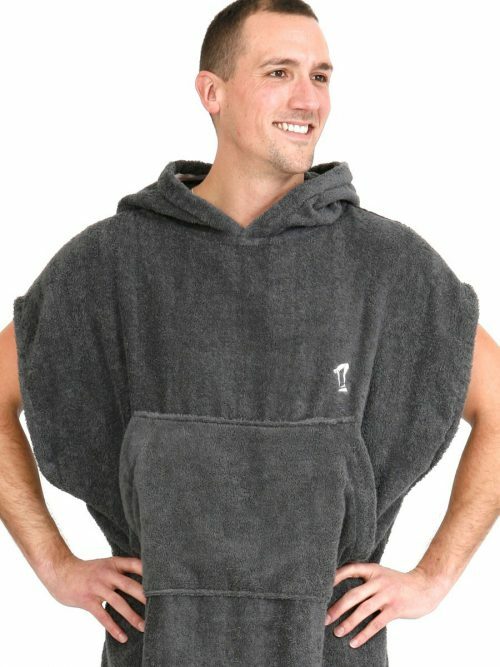 Once you put it on you’ll might find yourself in it all day!